Yeah, but: I can't wait for the next generation. 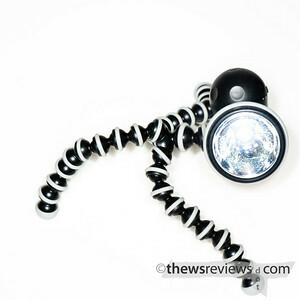 The Long Version: As the name suggests, the Joby Gorillatorch is a flashlight that's built onto a lightweight Gorillapod. It's hard not to love that idea, even without knowing that its three little feet are magnetic. It's not the best flashlight I've ever used, with a strong ring in its light at close range, and taking an awkward three AA batteries in a hard-to-open body, but it is the most fun. At its full brightness its LED is quite respectable, and at the lowest setting it has essentially no spill. 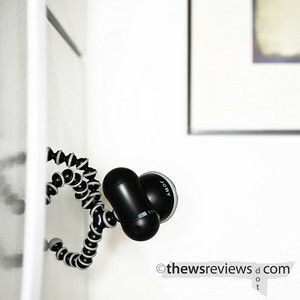 Like the Gorillapods, it can be wrapped around almost anything and positioned to point almost anywhere. Playing with the Gorillatorch makes me want to take up stop-motion animation, and they even come in different colours. Each of my camera bags has a flashlight to help out when I'm composing and focusing with a 'live view' LCD, and the Gorillatorch is the one I use when I'm at my home base. It's just a little too bulky to carry with me, which is a pity because it really is a perfect task light. The `Torch is advertised as being able to go anywhere, and to test that out I've kept it stuck to a metal door for over a week. I wouldn't hesitate to hang it off the underside of a car hood, or wrap it around the pipes under the sink to fix that leak. It's not some commando-approved machined metal 'tactical' light, but it's bright, flexible, and reliable. They've finally invented a viable replacement for a youngest child - it's a flashlight that holds itself.